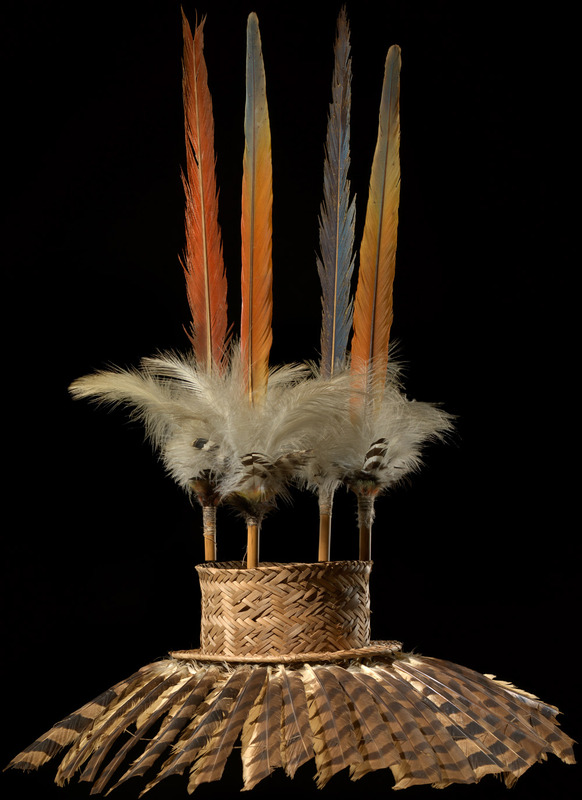 Still very much in use today, the Kantule hat is worn exclusively during the three-to-five-day Inna Suit, or girl’s puberty celebration. 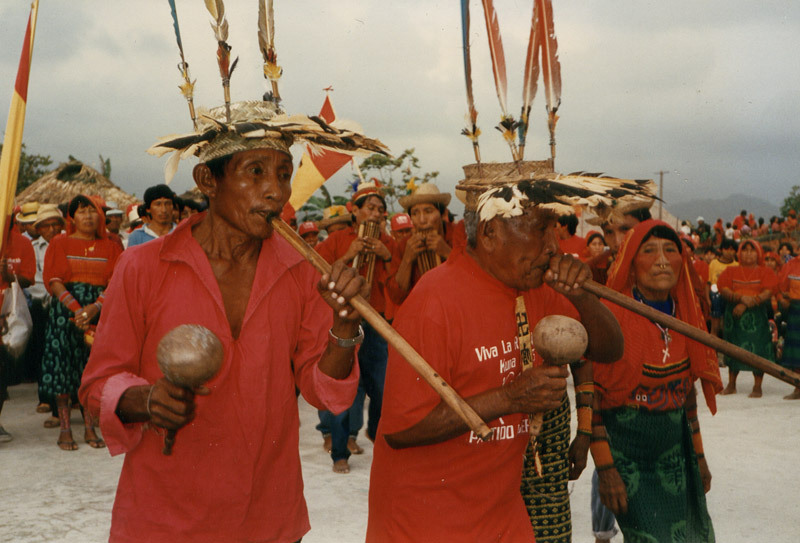 During this ceremony the Kantules (Flute Men) are considered the sole authorities in their Kuna community. As a young girl is painted black with the juice of the jagua fruit, has her hair cut, and is given a new name, two Kantules chant and play flutes while the community dances around them. 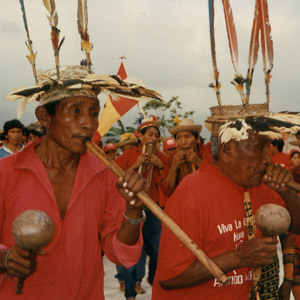 Kuna Kantules during celebrations of the anniversary of the Kuna Revolution of 1925: Manuel Roy, a traditional kandur (master of ceremonies), and his assistants playing the flute and maracas at the beginning of the chicha ceremony, 2006. Ustupu, Kuna Yala. Photo courtesy of Oswaldo DeLeón Kantule.